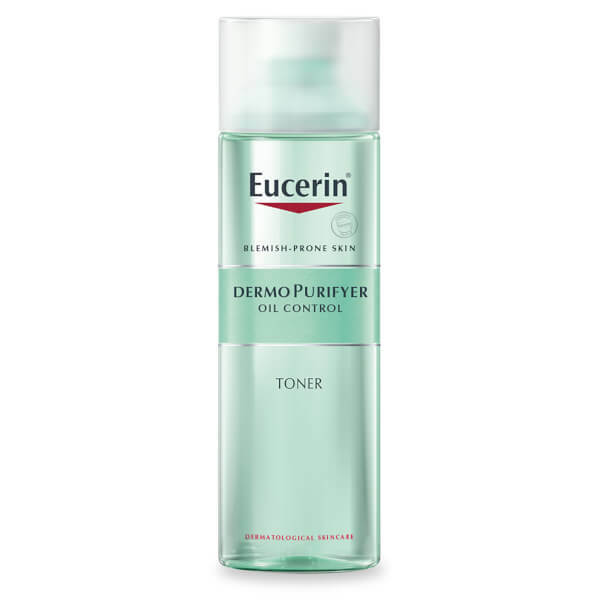 Treat your skin to Eucerin® Dermo PURIFYER Toner, a dermatologically tested, cleansing formula that works to clear oily, spot-prone skin and intensively clean the T-Zone and other problem areas. Dedicated to oily, blemish-prone skin, the Dermo PURIFYER range addresses the four skincare key factors: hyperkeratosis (disrupted skin cell shedding), seborrhea (excess sebum production), microbial colonisation (increased bacteria proliferation) and irritation of the skin. With 2% lactic acid, the anti-bacterial formula actively gets to work, unclogging pores without over-drying, and preventing blemishes by reducing bacteria. Particularly effective on the T-zone, the toner will leave your skin feeling fresh and looking clean. - K.N. Can be used alongside common topical medication. 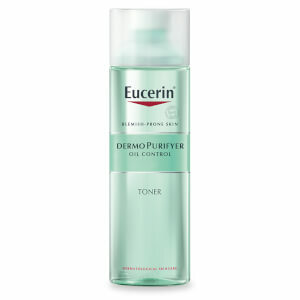 Apply toner in the morning and evening to the affected area. Use a new cotton pad with each application. Aqua, Alcohol Denat, Butylene Glycol, PEG-40 Hydrogenated Castor Oil, Poloxamer 124, Lactic Acid, Glyceryl Caprylate, Phenoxyethanol, Methylparaben, Parfum.